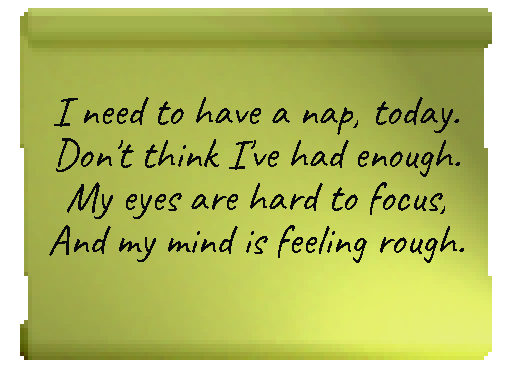 I need to have a nap, today. Don't think I've had enough. And my mind is feeling rough.